NEW Audio Narration Now Available. Narrated by Bob Darling. 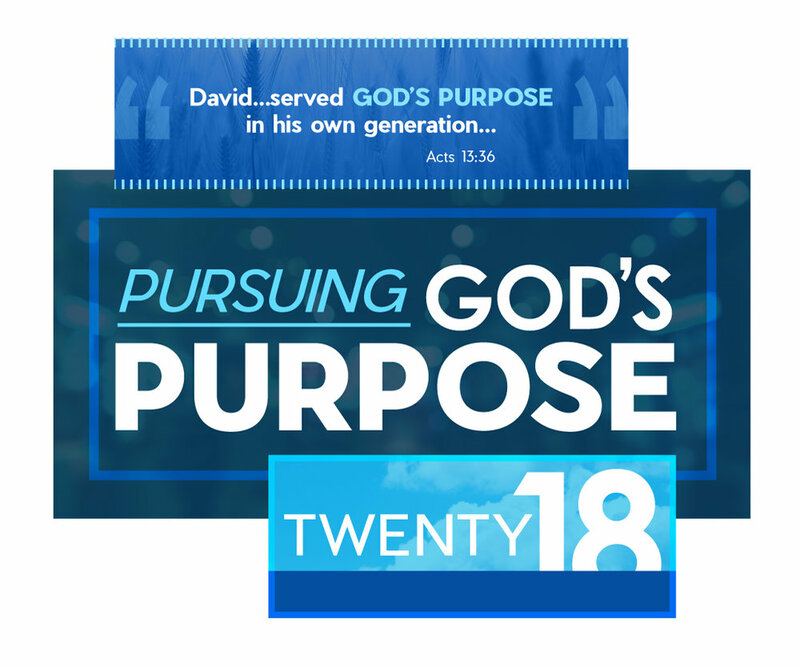 Our theme for 2018 is “Pursuing God’s Purpose.” This is a far cry from the world’s advice: “Be true to yourself and follow your dreams.” The goal in life is to discover God’s purpose for you in Christ. You must pursue that purpose. It won’t just fall into your lap — it is the fruit of living intentionally. One important aspect of God’s purpose plays out in the arena of the home, with parents and children. Ed and his wife dropped in on some friends to catch up on their adult children who were home for a visit. As they left, he sat in the car for a moment, then banged the steering wheel in frustration. His frustration is understandable. 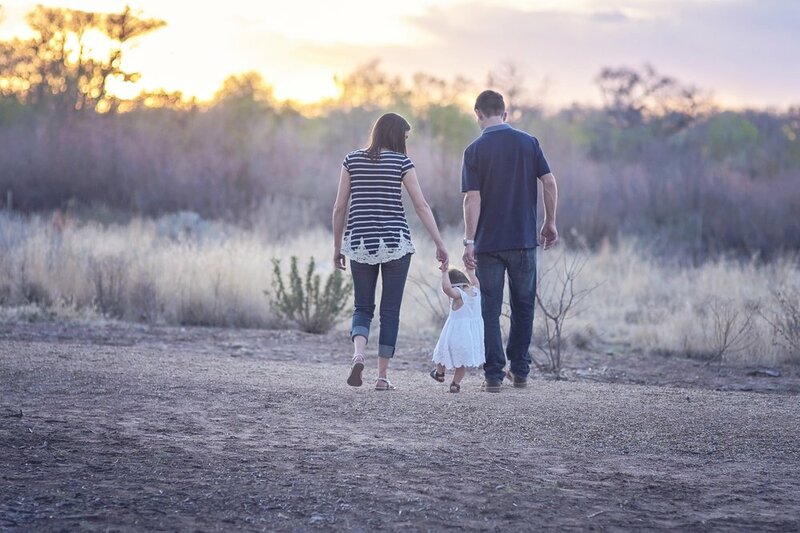 Besides the obvious Eternity factor, these parents lost sight of one of their most crucial functions: helping their children to discover God’s purpose for their lives. One of a parent’s crucial functions is to usher their children into what author Phil Cooke calls The One Big Thing: Discovering What You Were Born to Do. Obviously, parents do not completely control this process, but they are set as the gatekeepers whom God has placed to shepherd it to fruition. Paul especially singles out the role of fathers: “Fathers, do not provoke your children to anger, but bring them up in the discipline and instruction of the Lord” (Ephesians 6:4). The discipline and instruction of the Lord means leading them to pursue maturity in God’s wisdom; cherishing and training them by example, by instruction, and by discipline. All so that they might discover God’s purpose. As a freshman at the University of Connecticut I had very little purpose – beyond, maybe, playing ice hockey. I was not a bad student, I just cut lots of classes. I had no discipline in my life, because I had no real sense of why I was there – except that, well, this is what you do after high school. Don’t think for a moment that I’m blaming my parents at all. The problem was all mine. I had no clear purpose. It is no surprise, then, that failure followed, and I flunked out. As Bob Dylan sang, The Times, They Are A-changin’, more rapidly and profoundly today than ever before. It has never been more important to have an “understanding of the times, to know what Israel ought to do” (1 Chronicles 12:32). The need for God-given wisdom and discernment is massive, and the one constant in any age is the need for the helping hand of mothers and fathers in shaping the next generation in God’s ways. Our appetites are shaped from birth. What we grow up eating becomes adult comfort food. Hence, today’s concern to cultivate children’s appetites for healthy and nourishing foods. But the greater issue is how we are shaping our children’s spiritual, mental, emotional, and moral appetites and interests. Is it healthy for parents to shape a child’s worldview, appetites, and desires? Shouldn’t we just leave it up to the kids to figure it out on their own? It wasn’t so long ago that parents knew their influence was required in helping their children’s lives move forward. They knew their role was to guide and groom their sons and daughters from childhood to adolescence and into maturity, and from there to a life path that they could pursue with passion and dedication. A parent’s greatest fear was that their child might wander through life with no direction or purpose. This comes off as horribly restrictive in an age that enthrones Self at every opportunity, when parents are counseled to let their children be free spirits who embrace and live their own “truth.” History will record that millions of families were destroyed as the self-proclaimed experts came on the scene to vilify traditional marriage and God’s wisdom for child rearing; as time-tested biblical foundations were traded in for novel notions of social engineering. Secular Humanism declares each person their own god. With the One True God removed from the human equation, each one is an independent agent and every idea or impulse, no matter how foolish or selfish, has equal value. “Therefore, children are ‘free’ to develop their own ideas about the world around them, apart from the wisdom of experienced parents or mentors,” writes Stephen Simpson. “Correction is viewed as ‘negative,’ while pats on the head, winks, nods, and participation stickers train little cherubs to become narcissistic sociopaths when they get older. This dynamic is enshrined in the wisdom of Proverbs 22:6: “Train up a child in the way he should go; even when he is old he will not depart from it.” Too many have grabbed this verse from a “promise box” and taken it to mean that if I bring my kids to church and Sunday school, then they’ll follow the Lord later in life. When this is not the case, many parents feel that God has let them down. But this observation on life is predicated first on training: Train up a child. The word used here means narrow. It presupposes the presence of a gate and a gatekeeper, as opposed to no boundaries and limitless freedom. “In the way he should go” is rooted in the word for speech, or communication. That is to say that parents must hear, study, and be attuned to the unique “bents” – for good and bad – in each child’s life, talents, and personality – to discover where and for what God has uniquely suited them. The romantic notion that we should just live life as it comes, and whatever path is fine so long as “you just do you” may make for good pop music, but it makes for horrible life choices. Parents today also face unique challenges. Outside influences are more aggressively hostile to biblical family norms than they were just a few short decades ago. Add to this the multiplied gateways these influences have now gained into your home via the Internet, social media, smart phones, television, gaming, Netflix, Hulu, and YouTube. When I was growing up, we often went out and left our doors unlocked. That would be unthinkable today, but the greater question is, do you guard these other portals into your home? If you feel you’re in an alien universe, it’s because you are. You need to study the enemy forces that seek to claim your children and grandchildren. Neither can you casually and confidently send your kids off to school, because the secular humanist educational system is plotting to shipwreck godly input, substituting godless fallacies that promote wayward living. Thank God for those willing to swim against the tide to teach the truth, but by and large today’s schools are more committed to indoctrinating children than educating them. Loving God and pursuing His purpose comes not just from a sermon at church, but also diligent teaching at home. It is to be woven into the fabric of normal, everyday living and communicating. We live in a 24/7/365 world. A “few minutes of Jesus” once a week isn’t going to cut it for your kids. Christ and His Word must be at home in their hearts because of its constant presence in your home and all along the way of life. Pray together. Take a walk and talk about the Scripture, asking questions to see where your child’s walk with God is. Attend church and worship together. Talk about the sermon or the children’s church lesson on the way home. What did they see and hear? What did God speak to them? Tell your children about the areas where you have failed or fallen short, and how God’s love and grace met you, forgave you, and restored you. In every area, shape the spirit and values that you want imparted to your kids. Trust me, for every stifling, over-protective parent there are so many more whose hands-off approach has left their children wandering through life with no sense of purpose. I’ve observed over the years that kids aren’t derailed by their parents’ flaws. While it’s popular to blame your parents for all your problems, the truth is there are no perfect parents. We’ve all sinned and there is not one righteous. The deadly element comes when parents set a double standard: they’re one thing at church and something else at home. They teach and preach one thing, then depart from that truth and start living a contradiction. Kids are not stupid. They pick up on this, and often use it as license to go their own way rather than pursue God’s purpose. The anomaly in the story is that he was also known as a loving father, affectionate and encouraging to his son and daughter. This dichotomy of Escobar – loving dad and ruthless criminal – is chronicled in the book written by his son, Sebastian Marroquin: Pablo Escobar, My Father. Changing his name for his own protection when he fled Colombia, Marroquin dedicates the book “to my father, who showed me what path not to take.” What a sobering statement. All the riches showered on his kids could not make up for the poor example he set. The loving words he offered them could not eliminate the pain he caused. The parents who stand out in the Bible are those who helped cultivate a sense of God’s purpose in their children. In 1 Samuel 3:9, we see Eli’s effort as surrogate parent to usher Samuel into God’s purposes: “Eli perceived that the Lord was calling the young man. Therefore Eli said to Samuel, ‘Go, lie down, and if he calls you, you shall say, 'Speak, Lord, for your servant hears.'" Somehow, God’s purpose found its way into Moses’ DNA, and his parents recognized that. As a result, years later, he was able to stand on his own two feet, grateful for the opportunities he’d received, but definitely and unequivocally identifying with God’s purpose for his life. And yes, there is Timothy. He displayed a “genuine faith” that was first modeled and then transmitted to him by his mother and grandmother (2 Timothy 1:5). In my personal devotions I am studying the Book of Proverbs. What’s intriguing about this book is that it served as a kind of parents’ instruction manual to see their sons and daughters obtain a heart of wisdom. Proverbs1:8-9 says: “My child, listen when your father corrects you. Don't neglect your mother's instruction. What you learn from them will crown you with grace and be a chain of honor around your neck.” If they had an ear to listen to the voice of their father and mother, they would discover invigorating wisdom that would guide them into skillful living. The glorious truth of the Gospel is that “God loves you and has a wonderful plan for your life.” As a brand new Christian I remember hearing that statement, and it ignited a passion in my heart. God loves me! Yes! Amazing! He saved me by His grace, through Christ’s work on the Cross for me! That alone is far more than I’ll ever deserve. Yes, I know life is not easy for any of us, but the confidence springing from our belief that God has a plan and purpose – that there is a special something we are here to accomplish – helps motivate us to dedicated perseverance. We are urged in Philippians 2:5 to have the “mind of Christ,” that is, to have the attitude, motivations, and priorities Christ had. One particular focus of this mindset is found in the two bookends of the life of Jesus Christ on this earth. Remember when Jesus was 12 years old, and his parents mistakenly thought he’d gone missing from their traveling group? After anxiously searching for him for three days, they found him in the Temple. Jesus’s response to their relieved remonstration in Luke 2:49 was, “Why did you seek Me? Did you not know that I must be about My Father's business?" The Scripture goes on to comment, “But they did not understand the statement which He spoke to them.” He was beginning to grasp that His life was all about God’s purpose. Any 12-year old with that sense of compelling purpose will generally not be understood by others. The latter bookend is found in those regal words of Jesus as He stood before the Roman governor Pilate: “For this purpose I was born and for this purpose I have come into the world— to bear witness to the truth. Everyone who is of the truth listens to my voice" (John 18:37). Clearly, at both the beginning and the end of Christ’s life, He was guided by the North Star of God’s purpose. Any child (or adult) that lacks this direction can end up drifting through life, chasing whatever pleasure they can. Dedication comes from purpose, which in turn, gives our lives meaning and direction. One of the takeaways for me is the need for clarity, focus, and emphasis on the importance of fatherhood. It comes as no surprise that one of the maladies plaguing our society in epidemic proportions is fatherlessness. This topic requires far more attention than this article can provide. Thank God for the Bible. We can learn a great deal about the crucial role of fathers from the baptism of Jesus in Matthew 3:13-17. If we examine verse 17, we see how our Heavenly Father provides the best example for fathers down through the ages. First, Father God is present and acknowledges His Son: “This is my Son.” Make no mistake: He belongs to me. I am his Father and he is my Son. This declaration brings identity and a sense of belonging. The third element is the Father’s affirmation of His Son: “This is My Son, whom I love, with Him I am well-pleased.” Those are life-giving words! God tells the world that Jesus is his Son whom He loves and that He is well pleased. I find this phrase amazing! It comes before Jesus had preached His first sermon, before He healed his first sick person, before He cast out any demons, before He called any disciples, before He dies on the Cross or rises from the grave. Affirmation is a powerful force that makes a difference in men’s lives. Use it liberally. The father’s role is to shepherd his child into discovering God’s purpose. The good news is that even if your earthly father was absent and failed you, God will not. He promises to be the father you always wanted and needed. He can touch the pain in your heart and pour out love’s mercy to heal your deepest wounds. Paul described his ministry to the Thessalonians in these terms: “And you know that we treated each of you as a father treats his own children. We pleaded with you, encouraged you, and urged you to live your lives in a way that God would consider worthy. For he called you to share in his Kingdom and glory” (1 Thessalonians 2:11,12). A man who is present, a man who will pray and make regular deposits of God’s Word in his heart, a man who will be devoted to his children and to his God, will help his child taste something of God’s kingdom and glory. So, a practical question arises. Should parents force their children to go to church, when they don’t want to? The short answer? Yes, absolutely. The argument is made that in pressuring them to attend we alienate them from the church because they grow up resenting having to be there. That as soon as they have a bit of freedom, they will abandon that practice forced upon them by their unrelenting parents. 1. To teach the church’s purpose. Ideally, we should all want to go to church, but desire alone is not king. We go there because we need to. We are sinful, forgetful people. We go and meet with God’s people because we need to be reminded regularly of who God is and His promises in the Bible. We need to be encouraged and held accountable, not just for our sake, but for the sake of others. 2. To put feelings in their proper place. If we don’t make our kids go to church because they don’t want to, we are communicating that their feelings are their masters. Life has some very harsh lessons in store for those who ascribe to this tenet. By taking them you teach them that we walk by faith, not by sight (or feelings). 3. To exercise your own faith. In taking our children to church, we are trusting that when we saturate our child in the things of God and the preaching of the Gospel that something is going to get through. God can use those moments to bring about an awakening of the necessity of faith in Christ in your children’s lives. 4. To feed the right appetite. The law of life is that whatever area of life we feed will grow. This is true of both positive and negative. When we discipline ourselves and our children to go to church, we are, slowly but surely, feeding the appetite for godliness. It’s one spoonful at a time, to be sure, and covered with prayer before, during and after, that the Holy Spirit would do His heart-changing work. No, it is not a cure-all. But it’s feeding the right appetite. I had a “drug” problem when I was young. I was “drug” to church on Sunday morning. I was “drug” to church on Sunday night. I was “drug” to church on Wednesday night. I was “drug” to Sunday School every week and to Vacation Bible School every summer. Those “drugs” are still in my veins, and I don’t think I’ll every kick the habit. The brightest star is the life of Jesus. Aware of His Father’s business at an early age, we read that as a man “He went to Nazareth, where had been brought up, and on the Sabbath day he went into the synagogue, as was his custom (Luke 4:16). I’ve always carried a vision for the power and influence of kids who will pursue God’s purpose. I’m drawn to the story of Daniel and his three friends who’d been taken captive in Babylon. They were schooled in Babylonian culture and were given Babylonian names. Everything that was done to them was for the express purpose of obliterating any distinction of Jehovah God from their lives. That’s kingdom math: ten times more capable! This is the kind of testimony that our confused, corrupt and lost world needs today. And where does it begin? Where can it be found? With you and your house. Older PostTell Me the Old, Old Story!